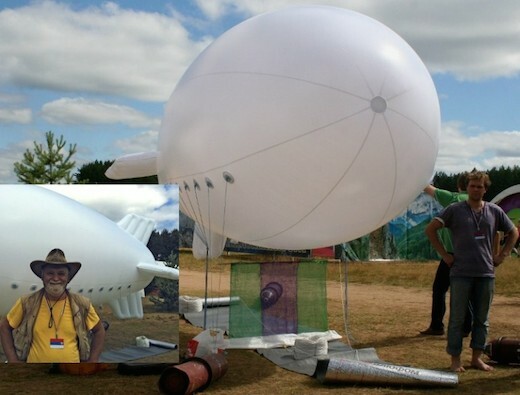 A team of scientists is currently raising funds through a crowd funding campaign to develop Air HES (HydroElectric Station), which is basically an airship that can extract clean water and electricity from the clouds. More specifically, it does so by harvesting and condensing water vapor, and uses it to spin up an electric turbine generator to create power. The developers have already built a small prototype to test the device and have done feasibility studies, while the main aim of the funding campaign is scaling up the device to produce economically viable levels of water and power. 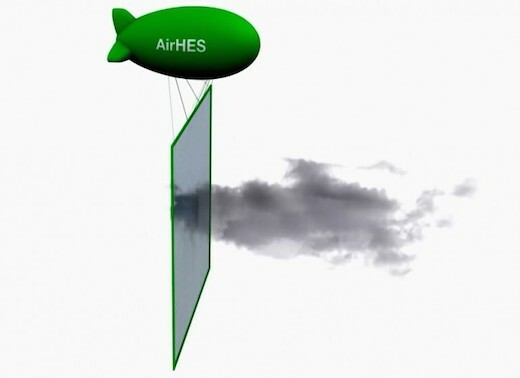 The Air HES works on the basis of three technologies, namely water vapor condensers, hydroelectric generators, and airships. The plans call for it to be release at an altitude of 7,000 feet, which will allow it to reach the mid-level clouds in the troposphere. Once it reaches this altitude, a curtain of vapor-condensing mesh is used to collect water. 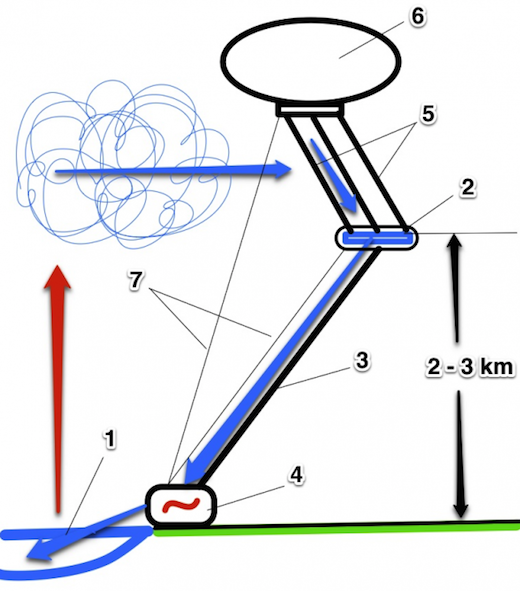 This water is then released down a lightweight pipe attached to the balloon, providing a significant head of pressure on its way to the ground. According to the developers, this will be able to provide more than enough power to rotate the turbine on an electric generator and create clean electricity. 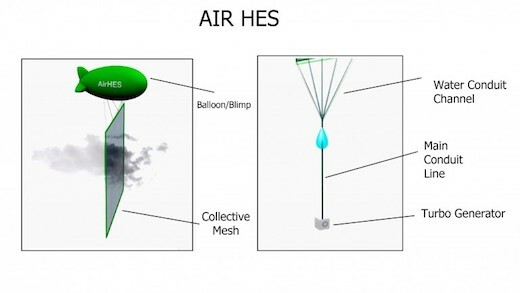 The smaller prototype of the HES that the team has already flown produced 1.05 gallon of water per hour for each square meter of the mesh material at 4,000 ft. They have not tested the electricity generation capabilities of the prototype yet, but believe that the full scale airship will be able to produce considerable amounts of water and electricity. According to their calculations, an airship with a diameter of 60 feet will be able to yield around 1.8 kW of electrical power for every 2.6 gallons per square meter of surface area of the mesh. The teams goal is to build and deploy a 1,000 square meter mesh collection area, which, if their calculations are correct, could produce up to 185 kW.